Though Vincent van Gogh never married, there were a number of women who influenced his life and art. Perhaps the most important of these was his mistress, prostitute Clasina Maria Hoornik and with whom Vincent lived between 1882 and 1883 in The Hague, Holland. 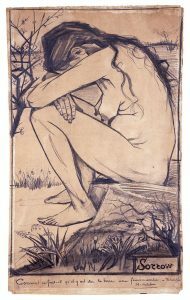 Known as ‘Sien’, she was the subject of a number of portraits by the artist, capturing the hardships of poverty, including one of his most celebrated drawings, Sorrow. Sien was already the mother of two children and the cohabitation gave Vincent the feeling of a surrogate, but important, paternity. Sadly, the relationship was not approved by his peers or family and at his brother Theo’s urging, Vincent left Sien in 1883 to paint in Drenthe. It marked the end of the only domestic relationship that he would ever know. Sien married in 1901 but committed suicide only three years later, throwing herself into the Schelde river – something she had foretold to Vincent many years before. Augustine Roulin was another of the important women in van Gogh’s life. 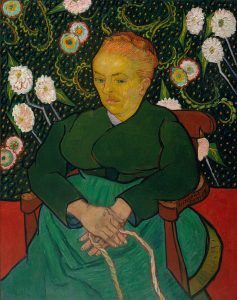 Her husband, a friend of Vincent during his time in Arles, France, has already sat for the artist and he would go on to paint all the Roulin family before his breakdown in 1889. He captured Augustine beautifully in a series of portraits which he entitled ‘La Berceuse’, meaning “lullaby, or woman who rocks the cradle”. Also in Arles, Vincent struck up an acquaintance with Madame Ginoux, who with her husband ran the Café de la Gare, where van Gogh lodged from May to September 1888 prior to moving into the Yellow House with Gauguin. 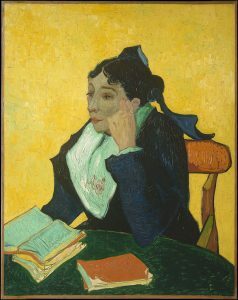 Her sitting led to a group of portraits called L’Arlesienne (“the woman from Arles”), which display Vincent’s characteristic bold colours and sharp outlines. 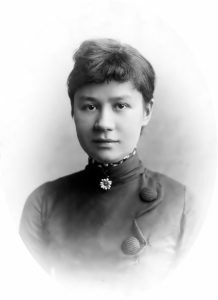 One final woman who deserves mention is Johanna van Gogh-Bonger, the wife of Vincent’s brother, Theo. Van Gogh loved her deeply because she had given him a nephew, another substitute and consolation for not having children of his own. Her greatest contribution, however, came after her brother-in-law’s death in 1890. 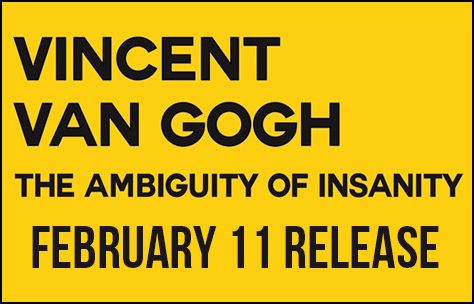 She played a key role in the growth of Vincent’s reputation through the editing and publishing of his and Theo’s correspondence, and the donations of his works to the first retrospective exhibitions.